The Churchill Convection stoves' gently curved side panels and top plate give it a distinctive look. 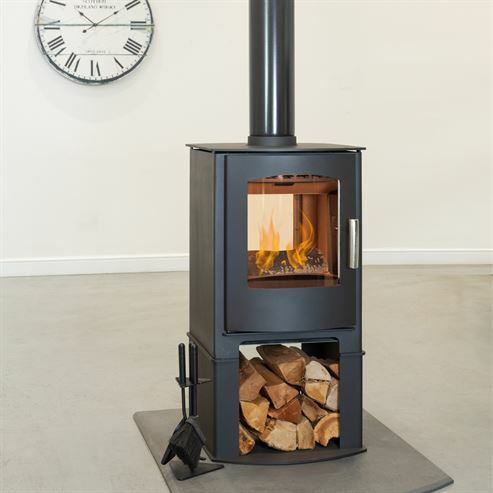 The Logstore model raises the fire chamber to eye level when seated and helps to show off this already stylish stove. 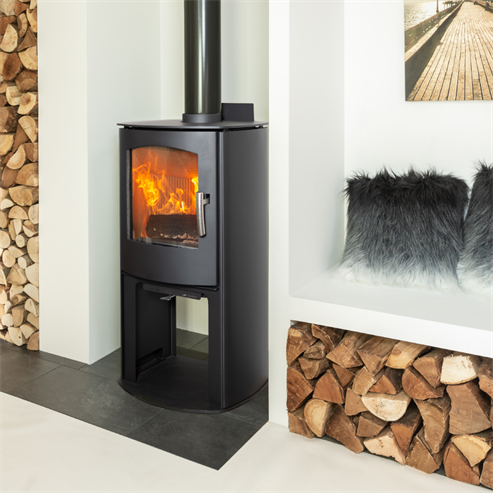 The Churchill Convection is designed to increase the distribution of heat and, therefore, heat a larger area faster than a standard radiant stove. Convection models are ideal for open plan areas as the temperature of the convection panels are cooler than the sides of radiant stoves.